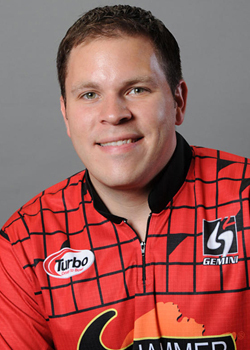 PBA Champion Bill O’Neill Jr.
We have been fortunate at Levittown Lanes to have one of the most celebrated and successful junior bowling programs that have produced top notch bowlers at every level, including high school, college and even the pros. One bowler who came through Levittown Lanes is Bill O’Neill Jr. He has become one of the best, if not the best bowler in the entire world. Excelling in the sport with each year, Bill is the pride of Levittown Lanes and we are honored to be a part of his bowling legacy! Our hometown star continues to come around and bowl at Levittown Lanes. And his father, Bill O’Neill Sr., is still an instructor here. Career Standard Titles (2): 2009-10 – Allen Park, Mich. (Chameleon Championship); 2010-11, Las Vegas (Viper Championship). Career Major Titles (1): 2009-10 – Lumber Liquidators U.S. Open, Indianapolis.